So I've been also looking at a 'laid back' event at the end of the month that is a 2000 pt 2 round event. I think this is more going to be a 'let's have a good time' kind of thing more than 'win win kill kill.' Not that people don't want to win or kill the other army! So I've been thinking about my Imperial Fists. Now I never did get a tournament in with them in 5th and I do have just about 1750 or so painted up now. So I'm wondering what I could put together that would not require a whole lot of painting. This is what I have come up with though I have a few reservations. Termie Libby, Nullzone and ? So it isn't a ton of scoring bodies but you would combat squad to sit in vehicles as long as possible. Your other 5 man with the missile will bunker down in the defense line to man the gun. Most of the vehicles should be able to bunker down behind the long wall as well. Alternatively if there are some ruins on the board Lysander can make them a 3+ cover save also. It's a shame you can only bolster ruins! Lysander is the man leading the large termie squad to soak up hits. Eternal warrior and Str 10 TH is lovely. Too bad bolter drill is a bit wasted. Stubborn is also not so great for this army but oh well. I'm torn as too if I look for an older model to match the rest of my OOP army. The libby is there purely for Nullzone. As tempting as Biomancy is I think the reliability of Nullzone to make sure my deathstar trumps other death star units is required since this deathstar lacks feel no pain or other save+reroll shenanigans. I think overall the list puts out enough firepower to deal with tanks, troops, and fliers. The termies can advance or just sit back and wait for the charge. What it does lack is mobility, so I might put Gate of Infinity on the Libby just to have a crazy last minute option to contest. The biggest thing I'm torn on is would a rune priest be better than the Libby. I would lose Nullzone but game that 4+ shut down of powers in 24". I would have to get some Grey Hunters instead of one of the Tac squads but this is (more or less) a wash. Currently Nullzone Libby is winning out in my mind, if for no other reason that I will probably fail all the 4+ to shut down powers! I'd love to squeeze a vindi in there but I don't really want to trim anything out, and it doesn't have the range to sit back and shoot if I'm up against another gun line. 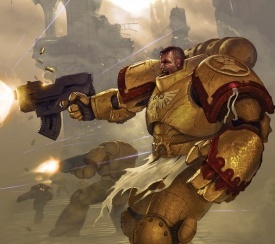 I think it also kinda fits the Imperial Fists theme of hunkering down defensively and grinding away the enemy. 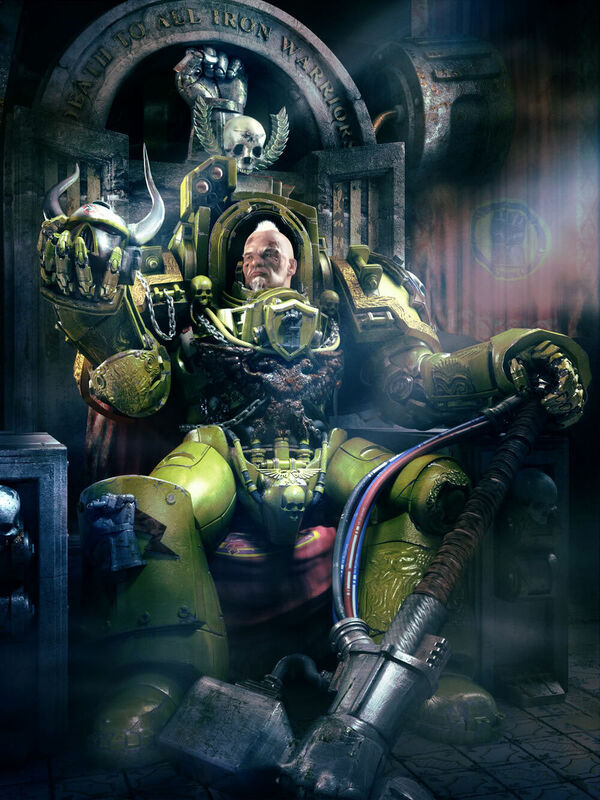 I would have to paint 3 terminators, Lysander, the flamer Tactical marine, and the defense line. Not a whole lot. It wont win any painting tournaments but it still looks nice on the table.